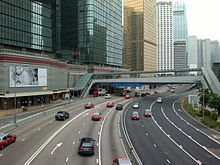 Mainland China drives on the right. Afghanistan RHT RHT/LHT Was LHT until the 1950s, in line with neighbouring British India and later Pakistan. Antigua and Barbuda LHT Former British colony. LHT The anniversary on 10 June is still observed each year as Día de la Seguridad Vial (road safety day). The Premetro and Metrotranvía Mendoza use RHT. Austria RHT 1921–1938 RHT Originally LHT, like most of former Austria-Hungary. Switched sides in 1921 in Vorarlberg, 1930 in North Tyrol, 1935 in Carinthia and East Tyrol, and in 1938 in the rest of the country. Bahamas LHT In Bahamas LHD vehicles are common due to the import of used cars from the United States. Bosnia and Herzegovina RHT 1918 RHT Switched sides after the collapse of Austria-Hungary. Brazil RHT 1928 RHT A Portuguese colony until the early 19th century as LHT and retained it at least partially following independence, switched some states still on LHT to RHT in 1928, the same year as Portugal. While some areas in present-day Brazil formerly belonged to Bolivia were already in RHT. Burundi RHT Former Belgian colony. Considering switching to LHT in line with neighbours Tanzania, Kenya and Uganda. Cambodia RHT LHT RHT implemented while part of French Indochina. RHD cars, many of which were smuggled from Thailand, were banned from 2001, even though they accounted for 80% of vehicles in the country. Canada RHT 1920s RHT Territories now in Canada have always been RHT, except British Columbia, which changed to RHT in stages from 1920 to 1923, and New Brunswick, Nova Scotia, and Prince Edward Island which changed in 1922, 1923, and 1924 respectively. Newfoundland and Labrador changed to RHT in 1947 while still a dominion of the British Empire, two years before joining Canada. Chile RHT 1920s LHT The Santiago Metro uses RHT. China RHT 1946 RHT/LHT At one time, northern provinces were RHT due to American influence, while southern provinces were LHT due to British influence. LHT was uniform in the 1930s. Hong Kong and Macau are all on LHT due to their colonial heritage. Most metro systems use RHT, except for the Hong Kong MTR and the Macau LRT. Croatia RHT RHT Istria and Dalmatia were RHT, while Croatia-Slavonia was LHT when Croatia was part of Austria-Hungary. The LHT regions switched to RHT on joining the Kingdom of Yugoslavia. Cyprus LHT Former British colony. Czech Republic RHT 1939 RHT Was LHT, like most of former Austria-Hungary, switched during the German occupation of Czechoslovakia. Dominica LHT Former British colony. East Timor LHT 1976 Originally LHT, like its colonial power Portugal. Switched to RHT with Portugal in 1928. Under the Indonesian occupation of East Timor, changed back to LHT in 1976. Ecuador RHT LHT The Quito Metro and Cuenca tram system will use RHT. Egypt RHT LHT Road vehicles are RHT due to French influence, but railway system was built by British companies. Ethiopia RHT 1964 LHT The Addis Ababa Light Rail uses RHT. Finland RHT 1858 RHT/LHT Formerly ruled as part of LHT Sweden, switched to RHT as the Grand Duchy of Finland by Russian decree. Most of the Helsinki commuter rail lines use LHT, but the Helsinki Metro uses RHT. France RHT 1792 LHT/RHT Includes French Polynesia, New Caledonia, Saint Pierre and Miquelon, Wallis and Futuna, French Guiana, Réunion, Saint Barthélemy, Collectivity of Saint Martin, Guadeloupe, Mayotte. Railroads in Alsace and Moselle use RHT as a former part of German Empire. CDGVAL uses RHT. Most metro systems use RHT, except for the Lyon Metro. Georgia RHT RHT About 40% vehicles in Georgia are RHD due to the low cost of used cars imported from Japan. The Batumi Ropeway uses LHT. Ghana RHT 1974 Former British colony. Ghana changed to driving on the right on 4 August 1974, the last former British colony in the region to do so, the military National Redemption Council having passed the Right Hand Traffic Act by decree in 1973. When changing to RHT, a Twi language slogan was "Nifa, Nifa Enan" or "Right, Right, Fourth".Ghana has also banned RHD vehicles. Ghana prohibited new registrations of RHD vehicles after 1 August 1974, three days before the traffic change on 4 August 1974. RHD vehicles may be imported only temporarily into Sierra Leone, for example for humanitarian programmes, but must be exported at the end of the operation. Hong Kong LHT LHT Former British Colony. Hungary RHT 1941 RHT Originally LHT, like most of Austria-Hungary. Iceland RHT 1968 The day of the switch was known as H-dagurinn. Most passenger cars were already LHD. India LHT LHT Former British colony. Indonesia LHT RHT Roads were built by the British, but railways are RHT due to Dutch influence. The Jakarta MRT will also use RHT. Ireland LHT LHT Part of the United Kingdom until 1922. Israel RHT LHT Under British rule till 1948; The Jerusalem Light Rail uses RHT. Italy RHT 1920s LHT Until 1927 the countryside was RHT while cities were LHT. Rome changed to RHT in 1924 and Milan in 1926. Alfa Romeo and Lancia did produce LHD cars until as late as 1950 and 1953 respectively only to special order, as many drivers favoured the RHD layout even in RHT as this offered the driver a clearer view of the edge of the road in mountainous regions at a time when many such roads lacked barriers or walls. The metro systems in Brescia, Genoa, Milan, and Turin use RHT, as well as all tram systems. Japan LHT LHT Post-World War II Okinawa was ruled by the United States Civil Administration of the Ryukyu Islands and was RHT. It was returned to Japan in 1972 but did not convert back to LHT until 1978. The conversion operation was known as 730 (Nana-San-Maru, which refers to the date of the changeover, 30 July). Okinawa is one of few places to have changed from RHT to LHT in the late 20th century. The Hakone Ropeway uses RHT. Jordan RHT RHT, despite the Mandate for Palestine and the Transjordan memorandum being under British rule till 1946. Kenya LHT British colony until 1963. North Korea RHT 1946 LHT/RHT Korea had been LHT because of the influence of Japan in the 1900s. Switched to RHT under Soviet and American occupation after 1945. The metro system in Pyongyang uses a mixture of RHT and LHT. South Korea RHT 1946 LHT/RHT Korea had been LHT because of the influence of Japan in the 1900s. Switched to RHT under Soviet and American occupation after 1945. Most metro systems in South Korea use RHT (exceptions include lines 1 and 4 of the Seoul Metropolitan Subway, the Bundang Line, and the Shinbundang Line). Kyrgyzstan RHT RHT Former part of RHT Soviet Union. In 2012, over 20,000 cheaper used RHD cars were imported from Japan. Laos RHT LHT RHT implemented while part of French Indochina. Lebanon RHT Former French mandate. Malawi LHT Former British colony. Malaysia LHT LHT Former British colony. Maldives LHT Former British colony. Malta LHT British colony until 1964. Marshall Islands RHT Was being under American rule. Mauritania RHT Mining roads between Fderîck and Zouérat are LHT. Mauritius LHT Former British colony. Island nation. Micronesia RHT Was being under American rule. Nearly 80% vehicles are RHD due to the import of used cars from Japan. Myanmar RHT 1970 LHT Much of infrastructure still geared to LHT, most cars are used RHD vehicles, imported from Japan. Namibia LHT 1918 RHT as a German colony. After South Africa occupied German South-West Africa during World War I, switched to LHT. South-West Africa was made a South African mandate by the League of Nations, and the new rule of the road was established in law. Nigeria RHT 1972 LHT Former British colony. Switched to RHT as it is surrounded by former French RHT colonies. Federal Road Safety Commission (FRSC) warned operators of RHD vehicles that they would face prosecution under Section 71 of the National Road Traffic Regulation (2004), which states that no RHD vehicle shall be registered or driven on public roads. Oman RHT Not a party to the Vienna Convention on Road Traffic and bans all foreign-registered RHD vehicles. Palau RHT Most cars are used RHD vehicles, imported from Japan because it's a second Japanese-speaking country. Philippines RHT 1946 RHT Was LHT during the Spanish and American colonial periods. Switched to RHT during Battle of Manila in 1945. Poland RHT RHT Partitions of Poland belonging to the German Empire and the Russian Empire were RHT. Partitions that were part of Austria-Hungary were LHT and changed to RHT in the 1920s. Portugal RHT 1928 LHT Colonies Goa, Macau and Mozambique, which had land borders with LHT countries, did not switch and continue to drive on the left. The Porto Metro uses RHT. Romania RHT RHT Transylvania, the Banat and Bukovina were until 1919 LHT like most of former Austria-Hungary, while Wallachia and Moldavia were already RHT. Russia RHT RHT In the Russian Far East RHD vehicles are common due to the import of used cars from nearby Japan. Railway between Moscow and Ryazan is LHT. Sormovskaya line in Nizhny Novgorod Metro also uses LHT. Rwanda RHT Former Belgian mandate. Considering switching to LHT like its neighbours Tanzania, Kenya and Uganda. Saint Kitts and Nevis LHT Former British colony. Saint Lucia LHT Former British colony. Saint Vincent and the Grenadines LHT Former British colony. Samoa LHT 2009 Switched to LHT to allow the import of cars more cheaply from Australia, New Zealand and Japan. Saudi Arabia RHT LHT The Makkah Metro and the Riyadh Metro use RHT. Serbia RHT RHT Vojvodina was LHT while part of Austria-Hungary. Seychelles LHT Former British colony. Island nation. Sierra Leone RHT 1971 Importation of RHD vehicles was banned in 2013. Singapore LHT LHT Former British colony. Slovakia RHT 1939–41 RHT Was LHT like most of former Austria-Hungary. Switched to RHT when it became a client state of Nazi Germany. Slovenia RHT LHT Was LHT like most of Austria-Hungary. Switched to RHT to unite with Croatia-Slavonia, Dalmatia, Bosnia and Herzegovina, Serbia and Montenegro to form with Kingdom of Serbs, Croats and Slovenes. South Africa LHT LHT Former British colony. South Sudan RHT 1973 Was LHT during the period of British colonial rule. Split from Sudan in 2011 after the majority of the population voted for independence. Spain RHT 1924 RHT Up to the 1920s Barcelona was RHT, and Madrid was LHT until 1924. The Madrid and Bilbao metro systems use LHT. Sri Lanka LHT LHT Former British colony. Sudan RHT 1973 Former British colony. LHT The day of the switch was known as Dagen H. Most passenger cars were already LHD. The tram systems in Gothenburg (except for a short part), Norrköping and Stockholm are RHT. The railroads in Malmö use RHT due to the connection to Denmark. Switzerland RHT LHT The tram system in Zurich and the Lausanne Metro use RHT. Taiwan RHT 1946 LHT Was LHT during the period of Japanese rule. The government of the Republic of China changed Taiwan to RHT in 1946 along with the rest of China. Most metro systems use RHT. Thailand LHT LHT One of the few LHT countries not a former British colony. Shares long land border with RHT Laos and Cambodia. Trinidad and Tobago LHT Former British colony. Tunisia RHT LHT French RHT was enforced in the French protectorate of Tunisia from 1881. Tuvalu LHT Former British colony. Ukraine RHT 1922 RHT West Ukraine was LHT, like most of former Austria-Hungary. Carpathian Ruthenia remained LHT as part of Czechoslovakia before switching in 1941 as part of Hungary. The rest of Ukraine, having been part of the Russian Empire, already drove on the right. Some sections of Kryvyi Rih Metrotram use LHT due to tramcars have doors only on right side, which makes it impossible to use RHT at stations with island platforms. (in Gibraltar) LHT Includes Crown Dependencies and Overseas Territories Isle of Man, Guernsey, Jersey, Anguilla, Bermuda, British Virgin Islands, Cayman Islands, Falkland Islands, Montserrat, Pitcairn Islands (unregistered), Turks and Caicos Islands, Saint Helena, Ascension, Tristan da Cunha are all LHT. Gibraltar has been RHT since 1929 because of its land border with Spain. The British Indian Ocean Territory is the only other overseas territory driving on the right. The Channel Islands (Jersey and Guernsey) drove on the right under German occupation until their liberation in 1945. The Falkland Islands similarly drove on the right during their occupation by Argentina in 1982.However, virtually all passenger vehicles in British Virgin Islands are LHD due to grey imports of used cars from USA and South Korea. (U.S. Virgin Islands) RHT/LHT Includes American Samoa, Guam, Northern Mariana Islands, Puerto Rico. U.S. Virgin Islands is LHT, like much of the Caribbean, as the only American jurisdiction that still has LHT, because the islands drove on the left when the United States purchased the former Danish West Indies from Denmark in 1917. However, virtually all passenger vehicles are LHD due to imports of US vehicles. Uruguay RHT 1945 LHT Became LHT in 1918, but as in some other countries in South America, changed to RHT on 2 September 1945. A speed limit of 30 km/h (19 mph) was observed until 30 September for safety. Venezuela RHT LHT The Caracas Metro uses RHT. Vietnam RHT LHT Became RHT as French Indochina. Zimbabwe LHT LHT Former British colony. In 2010 the government attempted to ban LHD vehicles. ↑ L. R. Reddy (2002). Inside Afghanistan: End of the Taliban Era?. APH. https://books.google.com/books?id=NubtDf2T3cAC&pg=PA70&dq=Right+hand+traffic+Afghanistan+by+Ghulam+Mohammad+Farhad,+the+Mayor+of+Kabul,%5B&hl=en&sa=X&ei=3-8HUqeVDIWI0AWOr4CQAw&ved=0CDYQ6AEwAQ#v=onepage&q=Right%20hand%20traffic%20Afghanistan%20by%20Ghulam%20Mohammad%20Farhad%2C%20the%20Mayor%20of%20Kabul%2C%5B&f=false. Retrieved 31 August 2015. ↑ 2.000 2.001 2.002 2.003 2.004 2.005 2.006 2.007 2.008 2.009 2.010 2.011 2.012 2.013 2.014 2.015 2.016 2.017 2.018 2.019 2.020 2.021 2.022 2.023 2.024 2.025 2.026 2.027 2.028 2.029 2.030 2.031 2.032 2.033 2.034 2.035 2.036 2.037 2.038 2.039 2.040 2.041 2.042 2.043 2.044 2.045 2.046 2.047 2.048 2.049 2.050 2.051 2.052 2.053 2.054 2.055 2.056 2.057 2.058 2.059 2.060 2.061 2.062 2.063 2.064 2.065 2.066 2.067 2.068 2.069 2.070 2.071 2.072 2.073 2.074 2.075 2.076 2.077 2.078 2.079 2.080 2.081 2.082 2.083 2.084 2.085 2.086 2.087 2.088 2.089 2.090 2.091 2.092 2.093 2.094 2.095 2.096 2.097 2.098 2.099 2.100 2.101 2.102 2.103 2.104 2.105 2.106 2.107 2.108 2.109 2.110 2.111 2.112 2.113 2.114 2.115 2.116 2.117 2.118 2.119 2.120 2.121 2.122 2.123 2.124 2.125 2.126 2.127 2.128 2.129 2.130 2.131 2.132 2.133 2.134 "Worldwide Driving Orientation by Country". Retrieved 13 December 2016. ↑ "10 de Junio: Día Mundial de la Seguridad Vial". Retrieved 13 December 2016. ↑ IIWINC. "Driving in the Bahamas - Caribya!". caribya.com. Retrieved 26 June 2018. ↑ "Safety and security - Bahamas travel advice". Retrieved 26 June 2018. ↑ Uwe Hilgemann (15 November 2015). "Zillertal Railway Narrow Gauge in Bosnian Gauge". Retrieved 26 June 2018 – via YouTube. ↑ "Decreto 18.323/1928" (in Portuguese). Retrieved 17 January 2017. "Art. 31. São obrigações communs a todos os conductores de vehiculos: a) conservar sua direita, trafegando o mais proximo possivel da beira da estrada, e sempre deixando a seu lado esquerdo espaço livre para passagem dos vehiculos que tiverem de passar á frente ou que transitarem em senttido contrario." (Translation: article 31: The common obligations to vehicle drivers are; a) Keep to the right, driving the closest as possible to the roadside, letting their left side free for vehicles overtaking or for oncoming traffic.) CS1 maint: Unrecognized language (link), the first nationwide traffic legislation, cited unambiguously RHT as the standard for the country. ↑ 12.0 12.1 12.2 Nkwame, Marc (27 July 2013). "Burundi, Rwanda to start driving on the left". DailyNews Online. Retrieved 28 May 2016. ↑ "Cambodia bans right-hand drive cars". BBC News. 1 January 2001. Retrieved 12 January 2007. ↑ "Change of Rule of Road in British Columbia 1920" (PDF). The British Columbia Road Runner. March 1966. Retrieved 27 August 2017. ↑ Griffin, Kevin (1 January 2016). "Week In History: Switching from the left was the right thing to do". Vancouver Sun. Retrieved 26 August 2017. ↑ Smith, Ivan. "Highway Driving Rule Changes Sides". History of Automobiles - The Early Days in Nova Scotia, 1899-1949. Retrieved 27 August 2017. ↑ Dyer, Gwynne (30 August 2009). "A triumph for left over right". Winnipeg Free Press. Retrieved 27 August 2017. ↑ Baedeker, Karl (1900). "Austria, including Hungary, Transylvania, Dalmatia and Bosnia". p. xiii-xiv. Retrieved 28 July 2017. In Styria, Upper and Lower Austria, Salzburg, Carniola, Croatia, and Hungary we keep to the left, and pass to the right in overtaking; in Carinthia, Tyrol, and the Austrian Littoral (Adriatic coast: Trieste, Gorizia and Gradisca, Istria and Dalmatia) we keep to the right and overtake to the left. Troops on the march always keep to the right side of the road, so in whatever part of the Empire you meet them, keep to the left. ↑ ";Hvorfor kører nogle lande i højre side? (Why do some countries drive on the right side?)". videnskab.dk. Retrieved 31 Aug 2014. ↑ "Högertrafik i Sverige och Finland". aland.net. ↑ 'Left is right on the road', Mick Hamer New Scientist, 25 December 1986 – 1 January 1987 No 1540/1541, p.16. ↑ Sputnik. ""Выживут" ли праворульные машины в Грузии". sputnik-georgia.ru. Retrieved 26 June 2018. ↑ Hillger, Don; Toth, Garry. "Right-Hand/Left-Hand Driving Customs". Colorado State University. Retrieved 13 December 2016. ↑ "Right-Hand Traffic Act". Ghanalegal.com. Retrieved 2014-05-14. ↑ Phil Bartle. "Studies Among the Akan People of West Africa Community, Society, History, Culture; With Special Focus on the Kwawu by Phil Bartle, PhD". Cec.vcn.bc.ca. Retrieved 2014-05-14. ↑ 28.0 28.1 28.2 28.3 28.4 "Right-Hand Traffic versus Left-Hand Traffic". The Basement Geographer. Retrieved 20 November 2016. ↑ hadi anto (26 July 2016). "indonesia train compilation" – via YouTube. ↑ "Sight for sure eyes, Honest John's Agony Column". The Daily Telegraph. Retrieved 28 March 2008. ↑ Nick Georgano, ed. (2000). "Lancia". The Beaulieu Encyclopedia of the Automobile (Vol. 2: G-O ed.). Taylor & Francis. p. 867. ISBN 1-57958-293-1. ↑ "Why Does Japan Drive On The Left". 2pass.co.uk. Retrieved 11 August 2006. ↑ Andrew H. Malcolm (5 July 1978). "U-Turn for Okinawa: From Right-Hand Driving to Left; Extra Policemen Assigned". The New York Times. p. A2. ↑ "Customs Services Department – Frequently Asked Questions". KRA. Retrieved 12 December 2010. ↑ "Over 20,000 Right Hand Drive Cars Imported in Kyrgyzstan in 2012". The Gazette of Central Asia. Satrapia. 8 May 2013. ↑ "Photo of All Change. Swop Over Point for the Traffic !". Panoramio. Retrieved 10 June 2012. ↑ Peter van Ammelrooy. "De Claim links rijden" (in Holandays). Volkskrant.nl. Retrieved 2014-05-14. ↑ "De geschiedenis van het linksrijden". Engelfriet.net. Retrieved 2014-05-14. ↑ "2.1 "Keeping Left" – Land Transport (Road User) Rule 2004 – New Zealand Legislation". New Zealand Government. Retrieved 28 November 2010. ↑ Famutimi, Temitayo (19 March 2012). "FRSC warns owners of right-hand drive vehicles". Punch. ↑ Ibileke, Jethro (2 July 2012). "FRSC To Prosecute Operators Of Right-Hand Vehicles". PM News. ↑ "Travel advice by country, Oman". Foreign & Commonwealth Office (fco.gov.uk). Archived from the original on 8 April 2008. Retrieved 8 August 2006. ↑ 50.0 50.1 "Krakowska Komunikacja Miejska – autobusy, tramwaje i krakowskie inwestycje drogowe – History of the Cracow tram network". Komunikacja.krakow.eurocity.pl. 28 November 1982. Retrieved 11 May 2009. ↑ "Russian Far East is still attached to Japanese cars". Russia behind the headlines. 31 August 2016. Retrieved 12 August 2017. ↑ Peter. "Rwanda to adopt EAC driving standards". Rwanda Transport. Retrieved 12 August 2013. ↑ "Somalia – Visa service and travel information". Travcour. Retrieved 22 August 2013. ↑ "Road Rules". SACarRental.com. Retrieved 15 February 2014. ↑ "Driving in South Africa Information". drivesouthafrica.co.za. Retrieved 15 February 2014. ↑ Taplin, Michael (1995). Light Rail in Europe. Capital Transport. pp. 126, 128. ISBN 1-85414-180-5. ↑ Passed by the Legislative Yuan (1946). "違警罰法 (Act Governing the Punishment of Police Offences)". Archived from the original on 10 December 2013. Retrieved 14 August 2012. ↑ Vril (13 October 2013). "Криворожский скоростной трамвай". Retrieved 26 June 2018 – via YouTube. ↑ Tobar, Hector (1 April 2002). "'82 Falklands Conflict Left a Legacy of Tragedy, Hope". Los Angeles Times. Retrieved 1 March 2010. ↑ "Which side of the road do they drive on?". brianlucas.ca. ↑ "RHD/LHD Country Guide". toyota-gib.com. Retrieved 22 September 2017. ↑ "South Yemen – Postage stamps – 1977". stampworld.com. Boggan waxaa markii ugu dambeysay wax laga bedelay 09:33, 11 Sebteembar 2018.